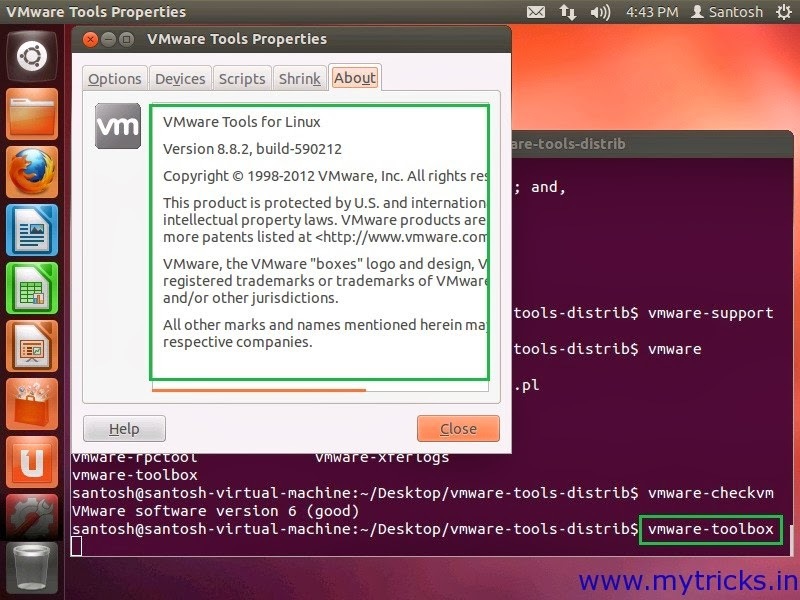 In previous post we learn How to Install Ubuntu 12.04 LTS in VMware Workstation 8. It is necessay to install VMware tools onVirtual machine as it contains all necessary required updates for all your mouse,display & network drivers. 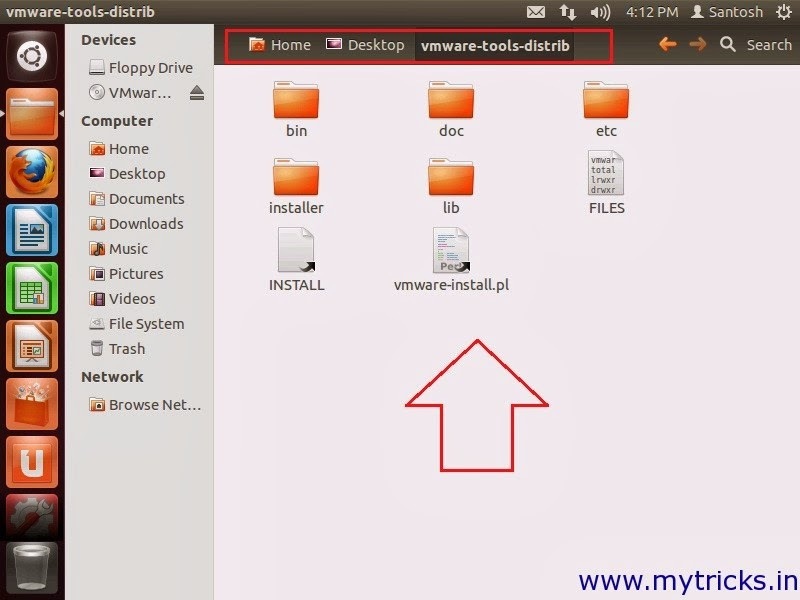 Now I will show you how to install VMware tools on Ubutntu 12.04 LTS inVMware Workstation 8. 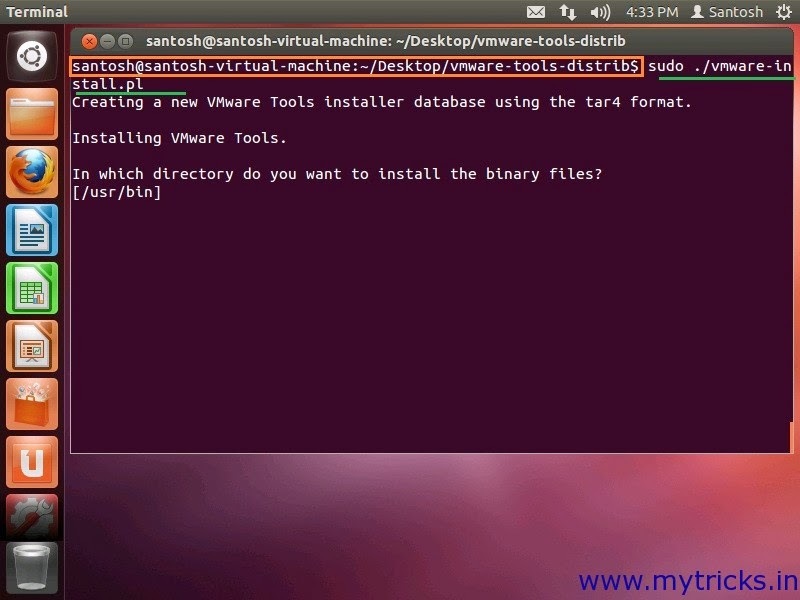 VMware tools installtion is easy & stright forward so lets get started. It will mount a CDROM under Ubuntu VM. 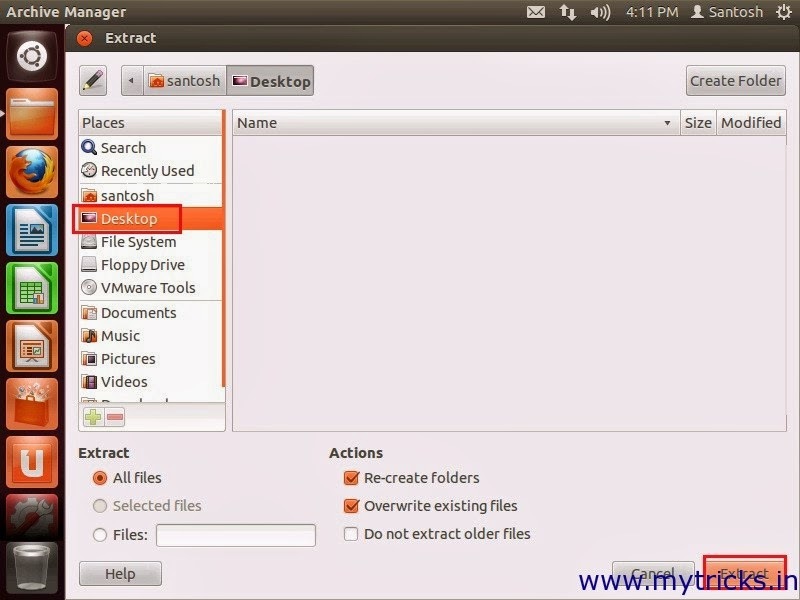 Right on the mounted VMware Tools folder & click on “Extract to” to extract vmware tools files. In my case I am extracting files on my Desktop folder. Now open Ubuntu terminal to execute the VMware Setup file (perl executable). To open Ubuntu Terminal Hold down the Super Key (that is windows key) and then use ALT+B and ALT+L. 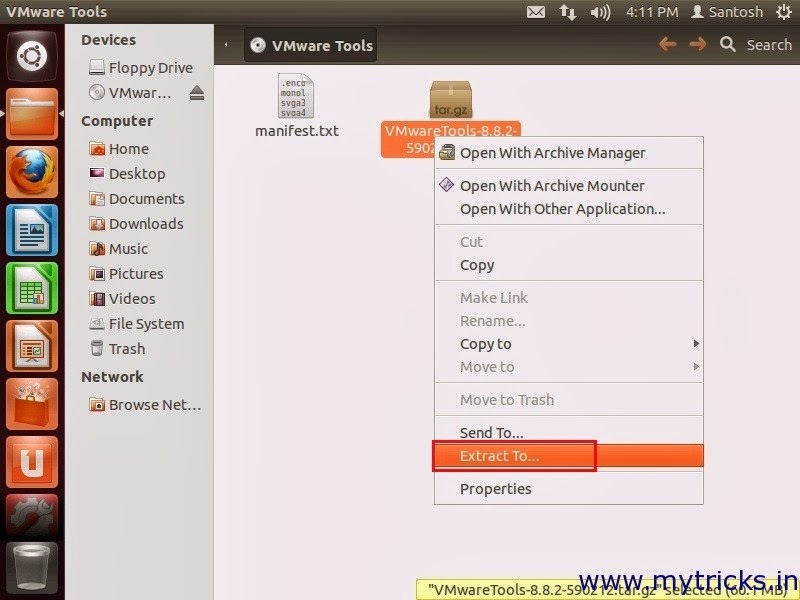 Go to vmware tools folder & execute below command. You can see the VMware tools has been installed. You can verify the version of it by running below command in Ubuntu Terminal.